Northern Hope Inn: Cheap Accommodation in El Nido | To Be, To Be. Tutubi. 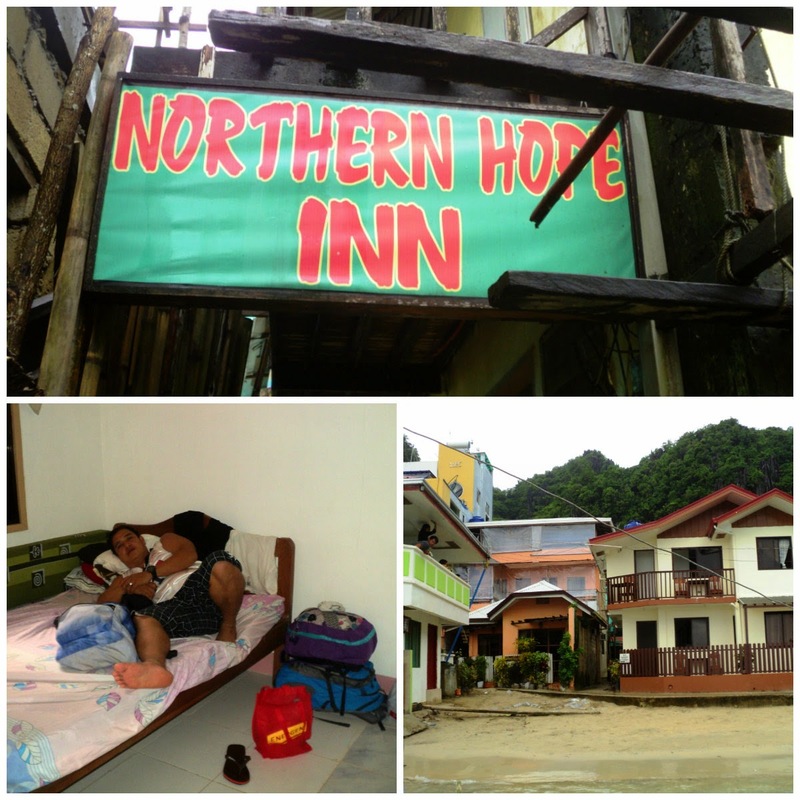 For our 4-days, 3-nights in El Nido, we opted to stay at Northern Hope Inn. It was part of the package that we got from Northern Hope Tours. We paid P800 a night for the room. It was clean, and very basic, with just a bed, a small table aka patungan and a restroom without shower (just timba and tabo). 2. The caretaker, Ate Minda was very accommodating and helpful. 3. The inn is literally just a stone's-throw away from the beach where the boats for the tours are docked. 4. Very near restaurants and groceries. 5. With free wifi and hot water. 1. No power from 6am to 2pm. This didn't bother us too much since we were out on the tours from 9am to 4pm. 2. No TV. This didn't bother me as much as it did my husband. I have my books on my phone so I was okay with it. But since we couldn't get out much because of the rain, he had TV withdrawal symptoms, hahaha. 3. No hot shower. Since it was raining, it was so cold when we take a shower. So, will I stay again at Northern Hope Inn if I were to come back to El Nido? Yes, if I were on a budget. But if I have more money for the trip, I will splurge a little and look for a room with TV, hahaha. Will I recommend it to friends? Yes, of coure if they are on a budget as well. But if not, there is no harm in looking for a much better accommodation. Special mention to Ate Minda who was very, very nice in taking care of us.